Rio de Janeiro, Feb 8 : Officials in Rio de Janeiro say torrential downpours and strong winds have killed at least five people and left a trail of destruction. 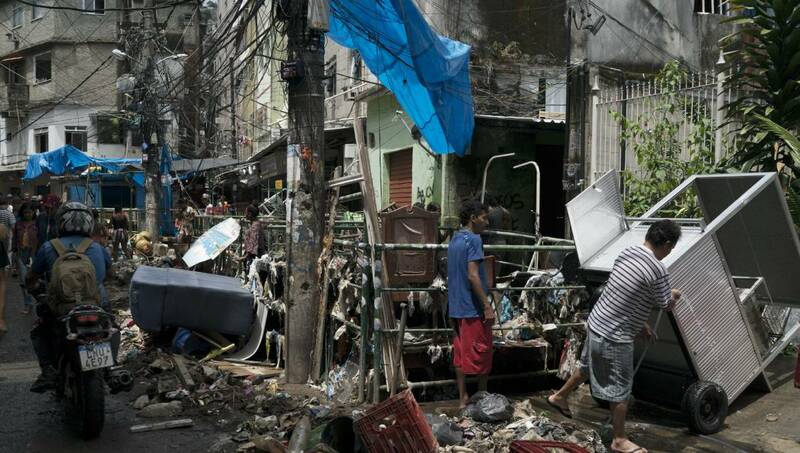 The press office of the Rio de Janeiro fire department announced the death toll Thursday. Rio’s Mayor Marcelo Crivella decreed three days of mourning for the victims. The Rio Operations Center said that strong winds of up to 68 mph (109 kph) knocked down trees and caused heavy flooding in several streets. The center monitors weather, traffic, trash collection, electricity, water, gas and emergency situations, among other things.